Claire has been a member of the GNU/Linux and KDE user community for almost a decade. 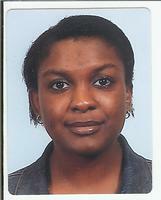 Her active contributions started at KDE-NL in 2004 with translation to the dutch, and support during promotion events. She gradually shifted her focus from translation and promotion to supporting marketing, organization and research related activities. Claire organised the KDE Multimedia Meeting in 2006 and the Koffice meeting 2007. KDE Research is an initiative that started in February 2007. Several KDE-NL contributors were in search of ways to reach out to local small-businesses and academic partners. The mission of KDE Research is to assure synergy within the KDE Contributor Community, to assist in achieving and managing long-term relationships with partners that participate in the KDE Research Community, and to streamline small and large scale funding efforts. In 2015, Claire envisions KDE Research to be part of the leading open innovation networks in the global IT industry, and to be equipped with a coherent research strategy. The KDE Research Network will include partners from the Free and Open Source Community, industry, government and academia to perform synergetic and collaborative research. Claire has a Master of Science degree in Electrical Engineering from Delft University of Technology, The Netherlands. She performed research, design and development projects at TJIP BV (NL) and the Automotive Products Lab of Hitachi America Ltd. (USA). Currently, she is performing research in the field of Advanced Mechatronics at the department of Precision and Microsystems Engineering, Delft University of Technology, to conclude her MSc program in Mechanical Engineering.